The hubby and I were able to get away for a week. We didn’t spend the bulk of the week together but that is OK we both had fun. I stayed at a friend’s house in Portland, Oregon, and was able to do some walking about and exploring which I’ll share in another post. We spent one day together exploring Portland. 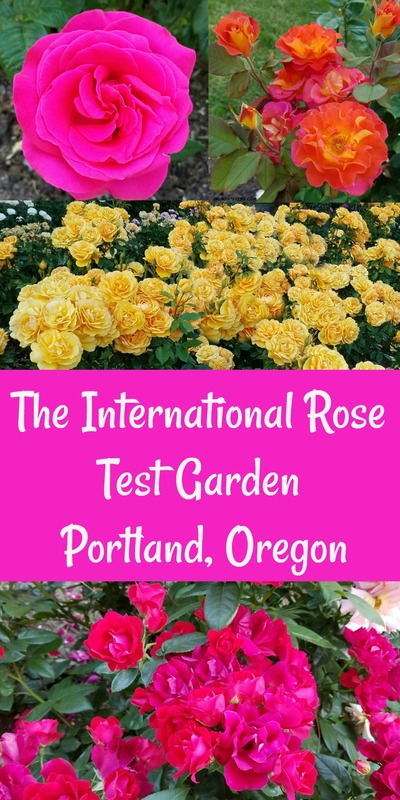 One of the places we went was the International Rose Test Garden. The timing of our visit could not have been any better as most of the roses were in bloom. It was an absolutely glorious place to just walk about and revel in the beauty of the roses. I didn’t know when I left on my trip that Portland was the city of roses, but I sure knew by the time I left. 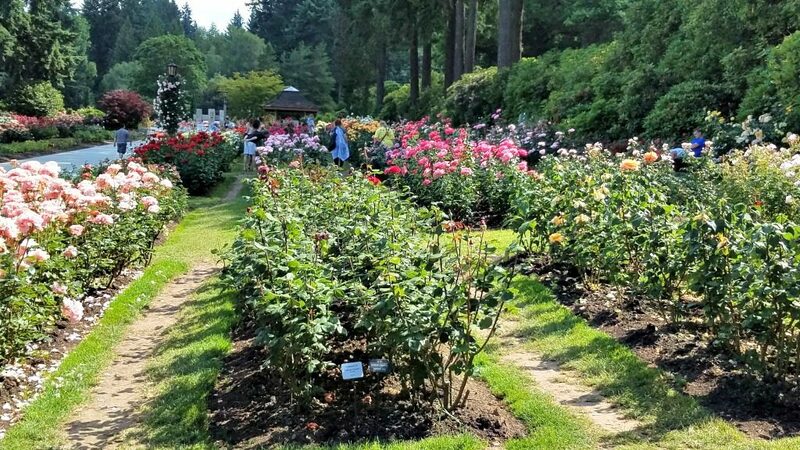 The Portland Rose Garden was conceived in 1915 and approved by Portland Parks in 1917. It started as a safe haven for hybrid roses during World War I and they started arriving in 1918. Formal dedication was in 1924. There are over 650 rose varieties in the 4.5 acre park and I can tell you from experience it is almost overwhelming. The rose garden has no entrance fee so you can go and enjoy all of the beauty of the roses as often as you’d like. The garden is open daily and the best viewing months are May through September although peak bloom time is June. 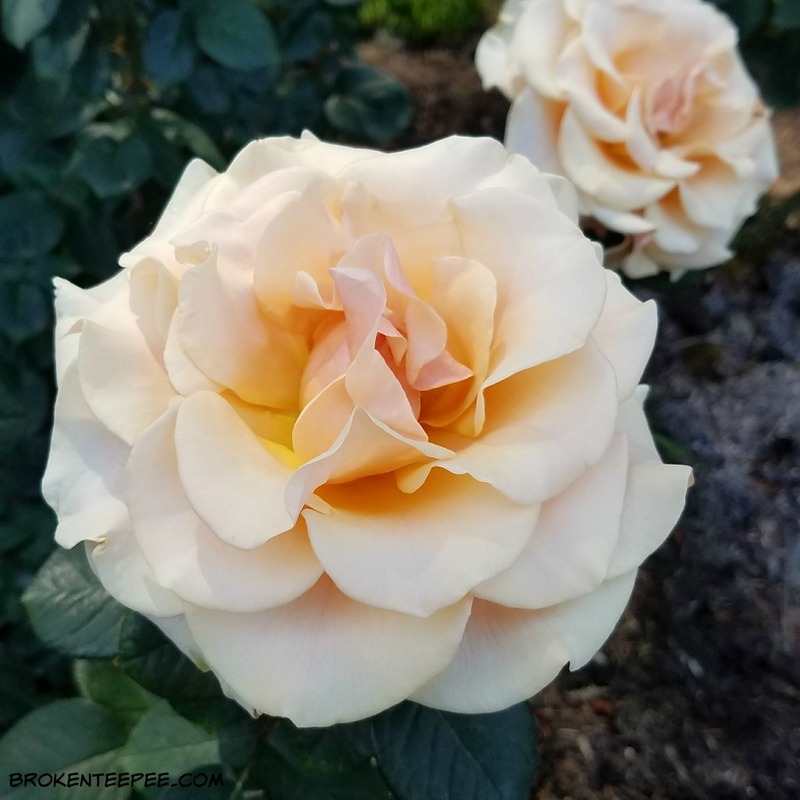 What is a Hybrid Tea Rose? The garden is full of hybrid tea roses which leads to the question of just what is a hybrid tea rose? It’s an informal classification for these pretty well known garden roses. They are a cross between tea roses – Chinese climbing roses that smell like black tea – and your basic garden rose. There are hundreds and I will admit that I paid absolutely no attention at all to the names of these beautiful flowers. If you would like to learn more about hybrid tea roses you can go HERE. I took a lot of photos as the roses were just so gorgeous. You can see most of them in the video below. Portland takes this name to heart. Even just walking around the city you see roses planted in many a yard. This nickname came about during an Episcopal Church Convention in 1888. The following year the Portland Rose Society was founded and through their efforts 20 miles of city streets were planted with roses to prepare for the centennial celebration of the Lewis and Clark Exposition in 1905. After that exposition the mayor at the time said the city needed a festival of roses and so starting in 1907 there was. It wasn’t until 2003 that the nickname was officially adopted by the city council. This was my first time in Portland. Not the hubby’s – he’s been there several times before. I’ll be sharing more about the fun I had during the week. I would go back to the city in a heartbeat. It was full of great places to walk, visit and oh.my.heavens – eat.